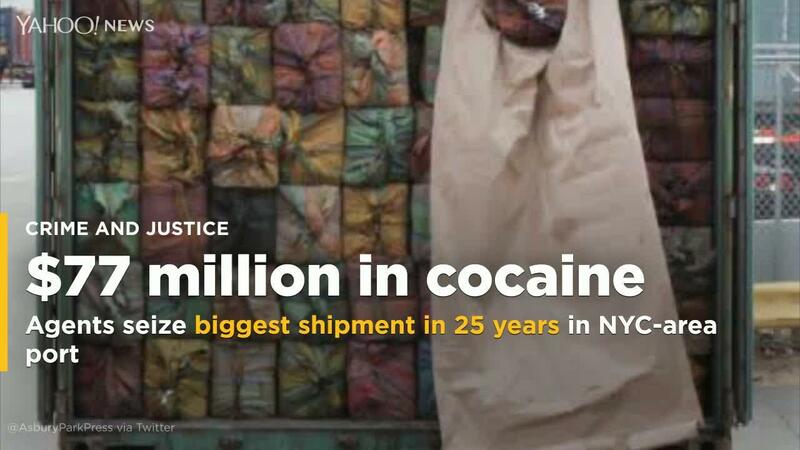 Customs agents have seized the biggest shipment of cocaine recovered at the ports of New York and New Jersey in 25 years. U.S. Customs and Border Protection says 3,200 pounds of the drug in 60 packages were seized at Port New York/Newark on Feb. 28. The street value is estimated at about $77 million. It’s the biggest cocaine seizure at the ports since 1994. A customs spokesman says the container was recovered from a ship that originated in South America. Customs officers turned the drugs over to federal Homeland Security officials for investigation.